Trying something new can be a little scary, especially a new sport. 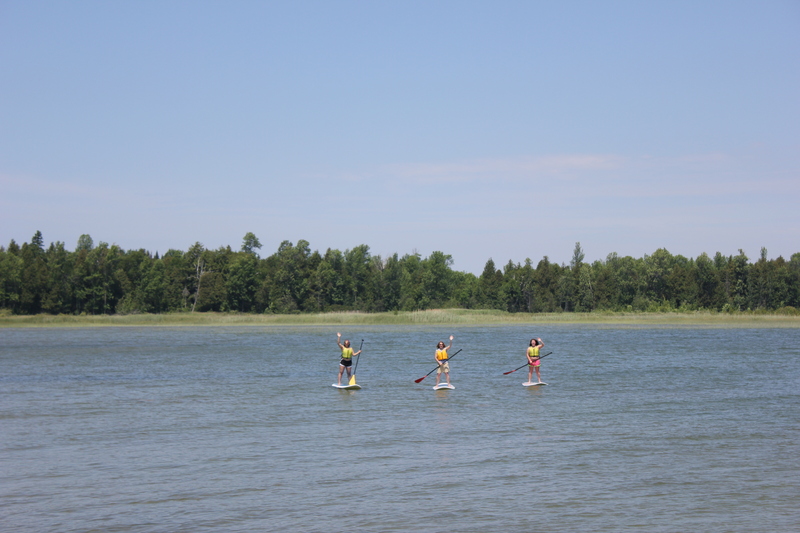 I was lucky to finally get to try stand-up paddle boarding this past weekend with my sister and my nieces. We started from shore kneeling on the boards until we got out a little further and then stood up. I was so nervous and shaky because I really didn’t want to fall and end up completely soaked. I didn’t have a swimming suit and the water in Lake Michigan is still pretty cold. 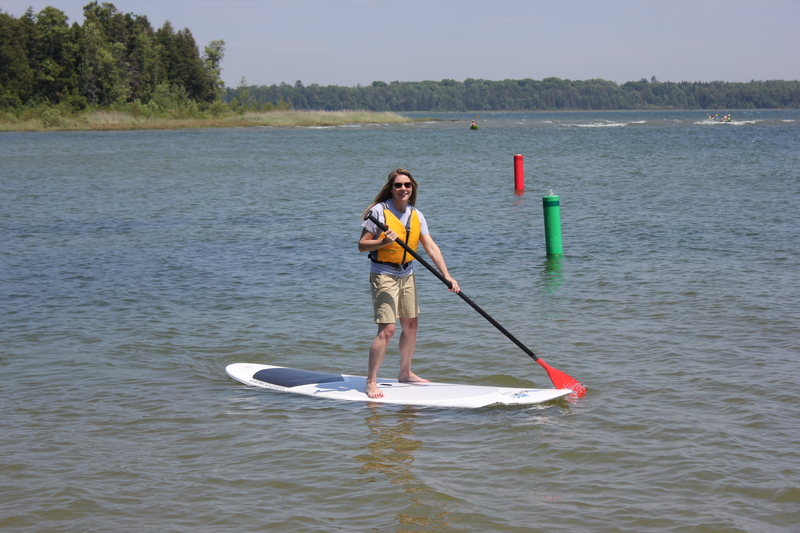 I’ve been wanting to try paddle boarding for a few years, so it was great fun to be out on the water with family over the weekend. It’s a lot harder than it looks, especially on a windy day, but now I know what to expect for the next time. Of course, going on adventures like this with my sister and my nieces always gives me more courage and motivation to get out there and just do it. I have been wanting to try this. I don’t have good coordination, nor can I swim (that’s what life jackets are for, right?!) but I just want to give this a go! Thanks Doris. It was really hard but really fun. It required a lot more balance and strength in my legs than I expected, so my legs were a little shaky. Yes, the life jackets were great to have, although the water we were paddling in was never deeper than waist high. Hope you get to try it! It was a lot of fun! My sister fell in… twice! It was windy so I think she just lost her balance. She’s a very determined person, so she just got back up again and kept going. Definitely worth the effort. Heck, it’s a water sport so you have to be prepared for the idea of getting wet. Looks like you had a good time.I would be too freaked out to do this! I was a little freaked out too, but I figured what’s the worst that could happen? I could fall off and get wet, which kinda goes with a water sport. It was very exhilerating!